In my humble opinion, troubleshooting requires fundamental knowledge, persistence, patience, attention to detail, and a willingness to learn continuously. My Father-in-Law passed away this past week. After the funeral, we came back to the house to spend time together. That evening, everything in the Family Room connected to electricity started acting very weird. Lights flickering, TV going on and off, etc. Honestly, my first thought was his ghost had come back to haunt us. Then, we began to smell the odor of something electrical going bad. After unplugging everything, I inspected each outlet. The discoloration on the face of the outlet is what caught my eye. The picture above is after I removed the cover plate and pulled it from the wall. 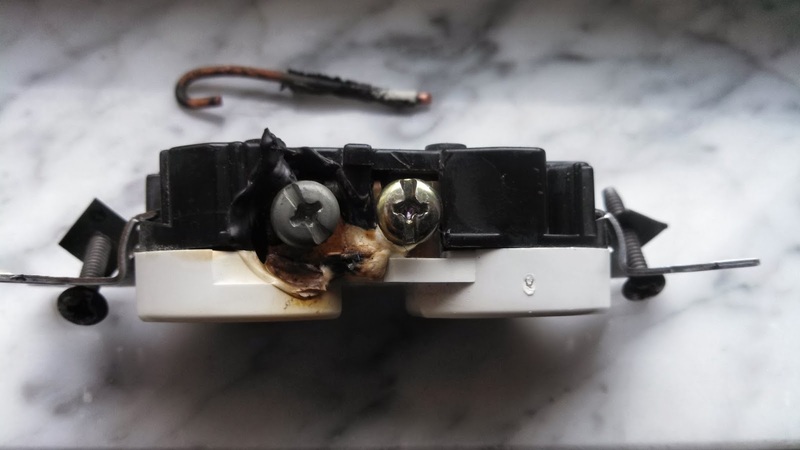 Don't forget to switch off the correct circuit breaker before doing any of this type of work! After fully removing it, I found the full extent of the damage. 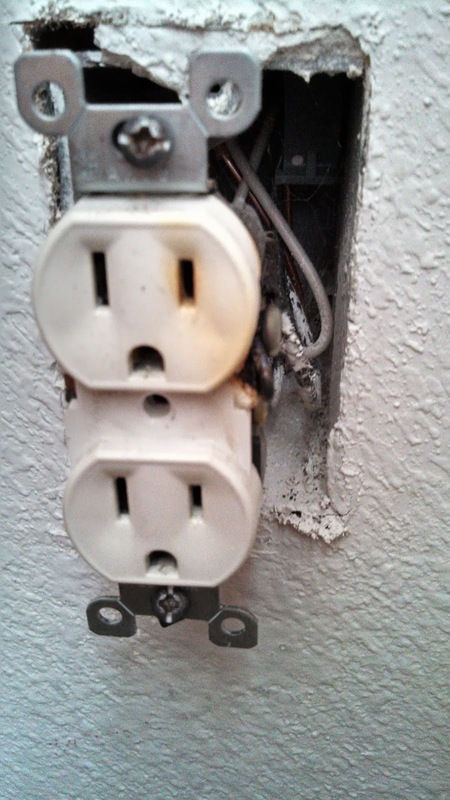 Somehow, one black wire came loose on this outlet and it started arcing. It only cost a $1.15 to repair but it took a couple of iterations of rewiring and re-installing before it started working again. I broke one of the black wires after the first attempt while pushing it back into the box in the wall. So, that is when the patience and persistence came into play. While doing the repair, I learned how multiple outlets are wired together. The point of this post is that troubleshooting skills are transferable across many situations. I've used my skills to do database administration, aircraft maintenance and fix things at home.